JeanetteWolfe's Blog | Accepting responsibility is the first & most essential act of empowerment. The energies are so BIG as we step into 2014. Those moments that give you the opportunity to really know who you are are showing up more and more and the fact that we are clearly being directed into a very visceral, very physical alignment with exactly WHO WE ARE is almost raw and completely at the surface as the new moon lights the path into this cycle. It is also very clear that the ability to navigate this passage and to function from the new arenas of intense and radiant solar/soular energy is enhanced by your ability to love yourself on all levels and to gift yourself with yourself. The question is, ” Will you choose to take HEART and create your experience from a loving space within yourself or be swept about in what continues to deconstruct?” We will all entrain to grace and ease at some point, the choice is yours as to when. This energy is NOT going to let up in 2014 and it is actually pretty amazing, albeit uncomfortable from time to time, or always, depending upon your personal lens..:) WE are BE’ing illuminated, radiated into a greater awareness of our ability to sustain ourselves from the inside out to the surface and it is VERY practical and real. It is required as the sun flips and the planet shifts. As many of you who know me and have studied and played with me over the years, numbers, letters, their ratio in combinations and the words or sequences they create have carried subtle messages for me in color and geometry for as long as I can recall, even before I truly learned how to spell. If I heard your name and knew your birthday I would feel you and see the patterns of light or frequencies of the gifts that you hold. As I notice the energetic patterns of 2014, the prevailing letters create two words that appear as one frequency with red and green beams radiating from the center of a six sided star or a Mer Ka Ba. The letters making the words are : COURAGE and HEART. Interestingly the origins of the word courage are from the French word for Heart or “Coeur”. It appears that in this cycle we are truly getting to the Heart of what Matters to us, as the macrocosm of what we have been informed would support us collapses, so are we being turned inside out with no coincidence in the synergy of our brilliant fiery sun literally shifting its polarities, flipping its magnetic north and south, supporting our burning off of what has not served us personally or humanity for so very long. I am not surprised by the colors red and green being the prevailing colors of the season of this transition into 2014, and not because they are colors associated with Christmas. The kidneys require red to transmute the prevailing collective fear of the times and to re energize spent adrenals for a society that runs on a never ending pattern of fight or flight. Our blood is literally being reoxengated with radiance and becomes more vibrantly red than ever as it circulates and is filtered by our ever radiant Heart.The collective liver, so full of anger requires green heart light to return to neutral and the heart vibrates the origins of our physicality as green love light and rebirth. It is clear that courage is required as we complete our metamorphosis. NOT because we have anything to fear. Courage is most simply a willingness to take Heart. The times call for leading with our Hearts. Taking Heart. Having Courage is surrendering to NOT knowing what we may be required of us and KNOWING full well that we have the courage, the Heart to do it and that we are just fine within the grande shift upon us. The sun’s polar flip heralds a completion of an 11-year cycle. Take some time to notice who you were eleven years ago, and how you are choosing to experience yourself NOW. I am certain , if you are reading this you are able to affirm your own remarkable metamorphosis. As we notice our environment or ecology, it is clear that the geomagnetic storms caused by heightened solar activity are greatly affecting our weather patterns and our internal neurology. I can attest to that neurological rewiring deeply on a firsthand level. This early fall I was visited by bats , literally, physically, a bat flying inches from my visage awoke me as I was sleeping. I will say I did not feel instant courage in that initial moment and then I listened…The bats physically heralded a time of significant shifting in my own wiring and the ability to navigate fully and completely on my own “sonar” , to clearly see in the darkness, when my physical eyes could not see…. to hear my own organs, brain synapses and heart beat with “super human” hearing and to be able to recuperate from a rather significant physical paralysis truly integrating how I choose to experience myself from the inside out. I “real eyes” now that the visits from the bats were the first signs of my own navigation of these times of neurological adaptations that we are ALL privy to. These times indicate a most remarkable opportunity in taking courage in the literal activation of our Heart Light and to entrain it’s rhythm with the radiance with suns waves. This process seems to support our own and humanity’s experience of OURSELVES to be less dense,less earth bound, less difficult and more balanced in our ability to be light in form. This new light informs our form on how to nurture ourselves from a solar/soular reference point, which in turn supports the remembrance of our physical abilities to literally regenerate from the origins of who we are, our divinity, our light in form. The correlation of the blasts of light, and the colors from within open us to these new PHYSIC-ALL neurological upgrades. I have noticed a significant acceleration in the physical symptoms of entraining as our bodies adapt to these huge blasts of energy. Examples being: My own stroke and amazing rewiring of my sensory self. Many colleagues and patients with various degrees of symptoms of stroke and pace maker adjustments, many extreme cases of vertigo, shingles, unexplained heart palpitations , palsy, heightened sleeplessness or sleepiness, dizziness, disorientation, memory lapses, bursts of energy, adrenaline, extremes in emotions(energy in emotion) and requirements for vast amounts of rest, water, minerals and or nervine herbs and foods that feed our acceleration and adjustment to the radiance in greater proportions than ever required. We require pure high test fuel and auto regulation from our inner compasses. 🙂 Listen to your physic-all map as the very physics on BE’ing aligns light with form…listen to these signs of this new solar/soular activation. With all of these experiences You are able to ANCHOR FULLY INTO YOURSELVES and burn off , spin out where you have been locked up in your lineage, your belief systems and be free to truly loving yourselves and loving your life. YOUR ABILITY TO SUSTAIN YOURSELF FROM THE INSIDE OUT VERSUS THE OUTSIDE IN! What a concept of remarkable FREEDOM! This is required as the planet shifts. You know that when you take COURAGE and Take HEART, you are able to sustain yourself. YES THAT is the GIFT of these times. THE GIFT IS YOU to YOURSELF. YOU are being called to live courageously, willingly and with Heart, not necessarily knowing, not seeing, not hearing from your old reference points as these remarkable upgrades return us to our original light inform, the blueprints of our authenticity. The patterns are creating entirely new formats in our nervous systems, our neurology, our central channel of light, our ability to radiate that light from the heart of our matter has taken on new form. 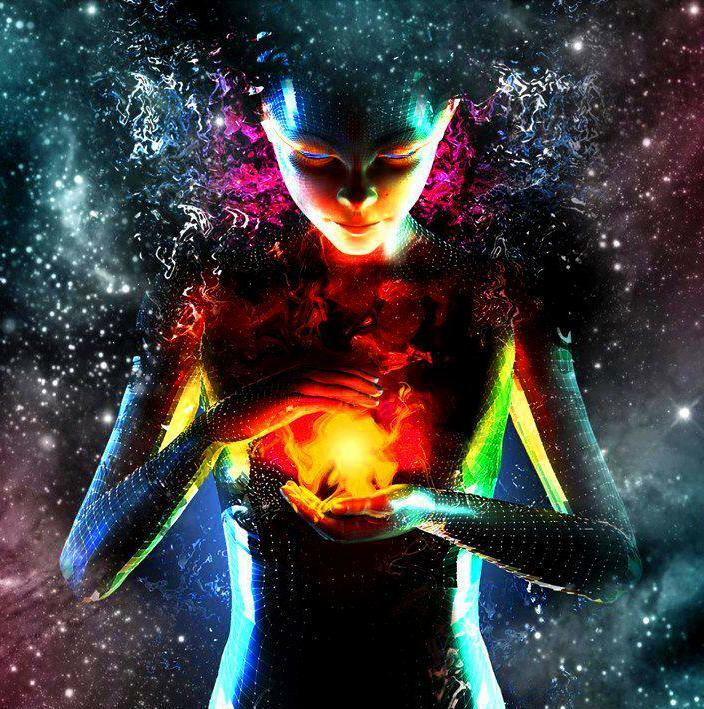 Once you allow this new light to drop in to form your physical body aligns quite quickly relative to your his”story” As this light body merges, you will be amazed. The MER KA BA,( light spirit body) or star Tetrahedron expanded over the Heart supports reliable holding of ourselves for ourselves. We are discovering that we no longer resonate with the restrictions of the illusions of lower earthly forms or our separation of the light and we anchor in the golden light of the sun through taking courage, creating space for light to pour into the heart of our matter and anchoring it in to the earth and burning off our limitations from whence we come. I have been assured of this light repeatedly in these past weeks and days. Just as the bats came to inform me of my new sight, hearing and sonar in navigating the darkness I have been blessed with three American Eagles roosting in the trees of my backyard. They are powerful creatures indeed. I will say that I required courage merely to stand in their bold and unblinking presence upon their debut. They are farseeing. They have blessed me with two feathers after taking flight. In Native American tradition these feathers are called the prayer helpers and link our earthly experience with spirit. These feathers have supported my exploration into conversations with many of my long passed earthly teachers and new Masters that are just making their presence known now. I am told that Green will fortify our hearts in this process. As we “take heart” as we embolden ourselves in stepping into 2014 we will notice that our green heart chakra coupled with the Mer Ka Ba we are returned to confidence in ourselves, sustaining ourselves with sheer will of pure love and fresh green rebirthing of humanity. The stones peridot, malachite, green moss agate, jade and emerald feel supportive as I watch and breathe in and absorb their crystalline frequencies and wear them at my throat, ears, wrists, ankles and heart all transmuting fear, en”courage” ing the Heart. My physical sight has returned with the eagles and strengthens each day and coupled with my new sense of “sonar”, my bat gift 🙂 or sight in other dimensions, a most remarkable lens of oneness has emerged. Eagles are able to dive and soar from seemingly impossible heights. One of my physicians examined me a month after my paralysis and stated that “it is clear to see that you will not be able to return to a normal experience”. I chose to not make that lens my truth. I know now that the polarity of the bats showing me my ability to navigate the darkness and the eagles arriving, was to inform me it was time to get to the heart of what mattered to me. To take courage to fly into a situation , no matter how impossible it may have seemed and to trust even if I could not see and to return to wholeness. I share my experience and what I have noticed with You to en”courage” you as you move through the what you may not be able to understand with your mind, what you may not be able to “see” clearly, what ever may “appear” to be dark or uncomfortable ,if your experience or world may feel turned upside down and inside out as the sun flips it’s polarity , to FULLY TRUST your inner sonar, to TAKE HEART and to unblinkingly BE “EN COURAGED” in giving yourself to yourself and to Know who You really are in the radiance of your origins. Your body is an amazing map of energy in form or matter and ALL of the information of your energy in form/ your body has remarkable purpose. 2014 calls you to notice the endless opportunities you have been presented with to align with who you are and burn off the final dross as you exist in your creation, one that’s more aligned with the highest, most authentic aspect of who you really are. And..in case you are wondering..” what is she talking about?…how do I give myself to myself?” well..it is quite simple…Love as the Universe unwaveringly loves. See yourself with unconditional love, have compassion for yourself and accept all that you are equally. Notice yourself with unblinking eyes and see all of you, the dark and the light and love all of it. This will open your heart and allow you to love from that sacred space of deep inner sense, innocence, like a child that notices no color or creed…notice that you are all whole, sacred and Divine This act requires Courage & Heart. So, give yourself the Gift of You, of loving you and loving your own life by creating that from the inside out. IMAGINE….”image in” loving YOUR life, with attention on YOUR, This is not about fitting into anyone’s agenda of life but yours now. This is your touchstone. The over light of this year is “I give myself to myself by taking courage, allowing the suns radiance to shine light on the HEART of my MATTER” . The opportunity is here , as you step into 2014 to come to KNOW yourself, who you are through your soul purpose, remembering what it feels like to create I love MY Life from the center of your Heart. With great love and open Heart…looking forward to sharing the radiance..more on the upcoming lunar new year soon.. So yes, indeed, I had a stroke, and whatever our perceptual reality might be, it was quite the experience physically, emotionally, mentally, spiritually and dimensionally. In the realm of the third dimension it hurt. A lot. I tend to explore information in the land of our physicality and I have explored more than the average bear in regard to physical “pain”. As it were, I seemed to have created the perfect “petri dish” for neurological and essence into form examination, through this “stroke of light”, even to go as far as it being a “stroke of genius”, stated not from the ego, simply into the realm of being offered a new perceptual reality and being able to gather information so vast and expansive from a place of reference points that did not exist before! Truly one of the miracles of this incarnation! The days before the actual “event” I had been tirelessly exploring the concepts of numbness, paralysis and pain in the physical, mental and emotional bodies in my Life Lab research with several patients who had all presented within a short time span. I had also been exploring the reconciliation of the two halves of “Jeanette”, a belief system I was transmuting around my birthday of this year where I had been “informed” the vast majority of this incarnation that I had two distinct and separate parts. The half halo and half horn of being born on the cusp of Halloween and All Saints Day and fully coming to the realization that I was neither and both and beyond that separation. I was experiencing a huge influx of calls from patients, friends, clients and family that had “separated” from my life experience and were now reconnecting and asking to expand their experience as they felt “ready” to move deeper into their light and asking me to be a catalyst. Finally and interestingly, I had experienced trauma to my neck just where it attaches to my head in the days before and so VOILA , a remarkable portal into the exploration of the experience of paralysis, numbness, separation, a literal splitting in two of my face, head, neck and arms. I can assure you I AM NOT my experience. I was surprised actually, at my own lack of fear and that even though I did not look like or operate like my prior perception of Jeanette, I was still very much Jeanette, and NOT willing to experience myself in this separation as an absolute or beyond what it required to unwind the patterns and energies that initiated this experience. I do believe that with the “real*eyes*ation” that I actually HAD a CHOICE as to how I want to experience myself that that knowing was the “triage” required to snap me back into the fact that this new space in my physicality was NOT absolute, despite the information from authorities that this was my “new reality” and that I had to accept it. NOTHING, oh nothing is absolute, this I know! Our experience can fully be a conscious fluid creation of choice. As some of you that have experienced “vibrational” or alchemical sessions with me are aware of, my personal journey into being of service has been to personally experience the “symptoms” of those who would seek out my support. My Life lab programs originated from my repeated experiences in dipping into the “dis” ease of patients, sensing the symptoms, uncovering the points of initiation and unwinding what does not serve and remembering what wellness feels like. The actual physicality of this experience has brought me a full spectrum awareness that our “physic-al” form is actually the portal to our divinity, or essence in form and that the body and its information, as uncomfortable as it may feel is NOT a place to leave or run from, or numb or dumb down the symptoms of( symptoms being the messages) but the form, the “physic-al” is a place to embrace and to experience ourselves from in the full spectrum alignment of all that we are . We are Light in Form. “Dis” ease and aging are NOT a part of that, and so, this experience has been a stroke of LIGHT, of Insight in “in*body’ing” light in form with remarkable insights into myself, my neurology, all systems of the body, being safe in the body, fight or flight, the endocrine system and it’s effects on the brain , fully shedding light on communications within the “physic*al” and informing my form how to align or integrate from within into Wellness at rapid speed. Most of all, incurring a “real”eyes*ation” that this portal of existence between dimensions is entered through unconditional LOVE and acceptance of ALL that is and not numbing, running from or pacifying what we FEEL, but living from the HEART. 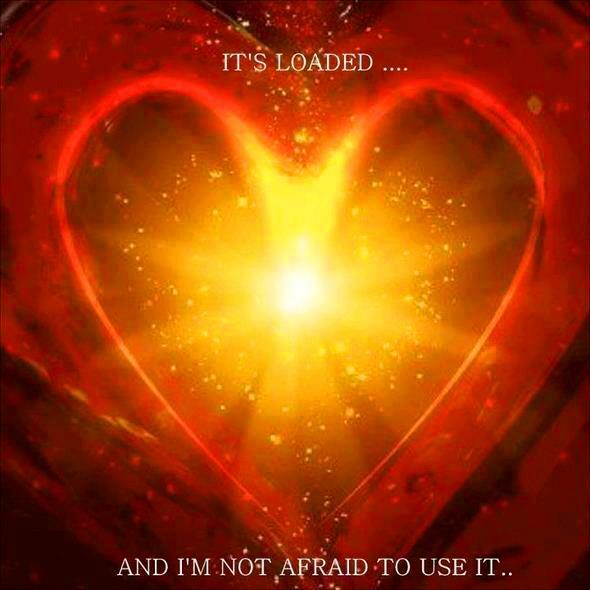 It is truly the Heart space that’s knows what is required and will magnify whatever experience, tool, vibration to allow for FULL SPECTRUM Alignment, well beingness and all that we are. Two and one half weeks ago I experienced partial paralysis of my vocal chords and the entire right side of my face. I could not open or close my right eye without literally moving the eyelid with my hand. I could not see with my right eye and I felt like there was a bull horn in my ears magnifying every breath into a the sounds of a hurricane. The first few days chewing and swallowing became almost impossible and if I swallowed more than a few drops of fluid, I could not breathe. I was actually not afraid, I really just kept saying NO to each moment of awareness that somehow my body was not doing what it did on autopilot a few moments, hours’ days before. Initially I was so annoyed, frustrated and amazed at how one moment in time could shift my entire life experience and drop me into fully and completely my sensory self and survival mode the first few days. With each silent aha moment of hmmm well…”so that doesn’t work like it used to”, “what the hell, I can’t even feel my teeth or spit”, “why eat, I can’t taste, or really swallow”. My mind had no “will” over making something happen, or doing something to be able to make something happen. I had no choice but to exist in BEING completely in the moment and FEELING my way through how I chose to experience myself. I chose me. I felt my way into synchronized timing to be able to take in just the correct proportion of liquid in the exact spot in my mouth, where it could easily slide down one spot that did not constrict when I would swallow. If I was distracted in any way, if I tried to smile or assure someone that I was ok, I would choke. EVERYTHING in it’s most primal, survival sense required full present moment awareness within my experience. I was in awe of how when we are forced to literally to drop into nanosecond awareness, the body’s innate consciousness will rise to the top. I would not take drugs. That was my choice. (Do not try that at home kids). I met the pain and discomfort and as I went through the waves and sometimes electrical bursts of static in my body, I discovered the pain would actually neutralize as I welcomed it, rode the wave and almost became it. The most amazing experience was when I succumbed to the scans and testing. The MRI’s and tubes are extremely loud for anyone. With my much accelerated hearing the sounds were excruciating even with ear plugs and cushions holding my ears closed. The oxygen pumped in to the tube dried out my eye that would not close. As I lay there in the machine, completely unable to move, completely unable to stop the noise, completely unable to soothe my eye, I imagined how it must feel for a child to be told to NOT honor how they feel. To not cry, to not move if they feel they must, to not speak when they feel prompted to, and especially some of our kids that are energetically sensitive and some of us adult esb’s who have tucked away how we feel for so long because we have had our form informed about what we should or should not do. I felt an explosive need to hit the panic button, to try to move my hands to close my eyes, to just GET out and then I became the sound, I became the air, I became all of it and none of it and the tech person called out “I have to pull you out, We are no longer getting a read, there is no scan.” That happened twice. Whenever I found that space in between the stimuli, the machine, according to the technician, the scan stopped working. Exploring this arena of soothing from the inside out and potentially translating what that frequency feels like for children of the spectrum and other beings in “dis” comfort or pain or when full sensory overload skews well being in the form will continue to be an arena in my personal life laboratory to explore. I am personally feeling more aligned in a traditional sense and yet I know this is really tip of the iceberg and that there really are no words to describe the sensory brilliance of this experience. Swallowing, tasting, kissing, speaking are all back online! Yay! My hearing is still supersonic , but not painfully so and my right eye has developed a mind of its own as to when it chooses to see in the third dimension or another realm. I am learning how to drive my very new vehicle and awe of the shift. It is so empowering and freeing to find that space of no separation from the inner and outer environment and to be able to exist in that space . I know we can all exist in perfect presence and our sensory self as we allow ourselves. The “stroke” space of complete surrender from doingness to simply being has made very clear to me that as we embrace what is, whatever it is, pain, discomfort, grief, anger, the story of what we thought we are or what we thought we should or could DO and listen, sense what we are experiencing from the INSIDE out, everything neutralizes and unwinds. AGAIN, what we run from only exists when we run from it or try to pacify it or numb it, not when we face it. Our forms, our bodies have an innate intelligence, a GPS that constantly informs the form. Are you listening to those simple directives or are you overriding your guidance system? Isn’t it interesting that many of us , particularly those that think they are on a spiritual quest have been informed that everything we require exists inside of us, or that the universe is in us? And we sit and meditate and wait for that illumination, or search for the next great miracle research, diet, herb, sound or renowned doctor or guru, or ancient chronicle to inform us? We look outside of ourselves quite a lot. We often run from what is inside. We run from feeling the symptoms because “oh, dear” the mental mind says, “no no, you don’t want to feel that emotion, that pain, it feels so bad” and then we numb it with distraction or meds or beliefs that we can make the best of things and make believe that we are fine. Yes, we run from it and then it all becomes matter because it mattered so very much to you that you have stockpiles of that emotion and information tucked away and then the experience becomes one of dis order, dis ease emotionally, mentally or physically and we wonder how long until we feel better by again looking from the outside in of the old paradigm of making it better. I have experienced the tip of the iceberg of what I would describe as alignment or integration from the inside out. So much more unwinds even as I write this. Simple concept. Alignment to self and WELL BEIng from the inside out..Nothing is broken, nothing is wrong, nothing is outside of us and the only ones that can “do” it is ourselves. We are not our experience. We use an awful lot of energy running from ourselves versus exploring what is within, seeing it, loving it and neutralizing it. Ascension, enlightenment is NOT about leaving the body, or thinking the body is dense and less than. Enlightenment is about allowing it all and the light body dropping fully into this experience of joy and bliss within the form. Light in form. A full spectrum alignment of all that we are. Aside from all of these “real*eyes*ations” and deep vibrational aligning and gathering of information about being in formation,  I did use some very tangible tools with great success as triage the first several days. I will share the use of nervine tinctures and herbs that helped to return sensation and feeling and movement to my body and ease those moments of intense sensory overload couples with the exercises both alchemical and physical with all of you in blogs, with my Life Lab patients and private clients and on pod casts. The wonders of toning, tuning and sound and rhythmic movement ( I love my pilates reformer in an entirely new paradigm of alignment) and very specific combinations of proteins to restore tissues. All brought balance, congruity, correspondence and reconnection of communication within my cells, organs and systems at accelerated levels. It has been so interesting and empowering for me to witness my son through this experience as well. This stroke was a most powerful expansion of all that he is as well. He stepped into his knowing every moment as he calmly observed me and what transpired around us. I would like to share his wisdom in a piece of a letter he wrote to some caring folks, who in their curiosity literally asked him, “ what went wrong?, wow, Jeanette, of all people with all of her tools, what is the story, can she fix this?”. “From my view point, I have witnessed an expanded view of life experience, beyond the physical dimensions like my mom for all of my life. She has taught me to describe this as the fact that there is a broader scope to all of us that we can’t see with our minds and once we see into the heart of the matter, and give ourselves permission to see what matters so much to us that it became matter, we can reinterpret our perception in regard to what we think happened, or what we have been taught is supposed to be. I know that My mom shares with her students and patients and with me all the time that alignment and wellness can happen with grace and ease and in reality, this is exactly what she has done. Mom is a huge energy. She really is a super hero. She moves through these experiences of what you all think is great pain and chaos very simply and easily in comparison to so many in order to gather knowledge and information for herself, for me and for her patients. THIS IS her flavor of grace and ease, it doesn’t matter if you think she is doing it the hard way. Judging this as hard, is just that a judgment. Not even I can judge that this experience should have been easier for her. Do I want her to have pain? No. I love her and I want the best for her. YET, PLEASE remember that this is not about what I want for her or what you think she should do , or that she is doing it the hard way. How can we decide what she should experience or not do, or even how she should do it. This is the gift of my mom. She has courage and the willingness to explore new arenas of possibility. She jokes with me all the time that she really wanted to be that super hero when she was growing up and then she took a job. I’d say she is like the X-Men. She is a fore runner of what humanity is evolving into. She explores those places that many are afraid to explore and comes back from the adventure with the wealth of information for us all. That is who she is. Nothing went wrong; it all went exactly as it should. Jeanette back..So with that sharing from my awesome son, signing off as we both like to say, with great love and appreciation from my son and I to all of you in exploring with me, this Miracle of mine on Main Street. I will continue to slowly translate and transduce and explore neural activity, the anomalies of the nervous system, tissue restoration, brain and meridian reconnects and most of all accessing information beyond what is perceived as the norm. and most of all the miracle of the Heart with LOVE. Like the picture says..mine is loaded and I am not afraid to use it. This has been a remarkable experience of unconditional love in our community of oneness. It’s the time to roll in the meadows, breathe in the perfume of the blooms, the scent of rain after the storm and truly notice just how remarkable life is in its perfect simplicity. Many of us are discovering the power of just the simple act of focusing our attention on deep appreciation for what is, acknowledging & loving, noticing regularly the gifts of our days, our community, our lives, our bodies, this glorious planet! When we appreciate something, what we focus on, appreciates, it flourishes. This appreciation brings us into greater alignment with the shifting energies that our collective existence is coping with in these incredible, transitional times. I am so full of joy as I share with you the miracle of my garden this year. I grew up gardening. It was play during my childhood. My mother’s garden was our family pharmacy, our Apothecary. In Europe, when something ails you, you visit the Apotheke, it is a place of cures, mostly holistic & natural, hence the name: Apothecary. My mother is truly a green fairy, all she touches grows to magnificent proportion and vitality. She grows everything around her with loving heart and patience. Her stories about plants and faeiries created the structure for a significant part of how and what I share with all of you. As I matured and ventured into the world beyond home, I always needed to play with plants, rocks and the soil. In college I had a garden on the roof of my dormitory and pots along every window sill and strategically placed them in my tiny dorm room wherever the sun was the most present. My fist apartment was in Chelsea NYC and it was partially submerged, a dark basement apartment that looked out onto the garden of the back of the building that was “off limits” and I grew hanging plants that caught the dappled sun as it filtered into those half windows and they flourished. As I graduated to various homes I always invited nature into them with plants and rocks and drift wood. These elements seemed essential for me in creating a sacred space for me. I watched the plants and the turn of the seasons and learned how to read space, how to understand the offerings of the Cardinal Directions and how to harness natural energies and pour them into my homes or offices and then applied this art and science to other homes and corporations. I experimented with placement, movement, sound & stillness and realized how they can completely shift our experience in feeling safe or challenged in an environment. Growing up first in NYC and then on a farm and then back to NYC was a wonderful experience in the polarities of natural energies in both urn=ban and rural environments and the possibilities and potentials of both spaces. My parents opened my eyes both to the brilliant lessons of what each Season offered, to honor our Solar cycles and Lunar cycles, and the gifts that would come with that honor and I applied this to myself and my careers. Aside from the wonderful wisdom and support that this part of my life offered, I was also gifted with a deep sense of Knowing for as long as my memory will take me back. I would sit and have conversations with fairies, gnomes, angels, cosmic beings and my higher self and ask for answers on life, feelings and for others. I created space for them to continue to come and share with me. Certainly every garden is a miracle, every seed holding the miracle of life. Why I share with you the beginnings of my miracle garden of 2013 is in a renewed sense of trust in our innate intelligence and trust that we live in a benevolent universe that will indeed bestow upon us anything to which we give our attention. In our case, our attention was on a “search” for wellbeing for my son . Miraculously, we have been continually led to the awareness that with Love and Trust that there actually nothing to “search fopr” or “do” to make things better or “fix” them, for they are perfect and in that perfection our surroundings mirror all of this back to us. In this awareness, my son and I became an expression of the deeper intelligence which is inaccessible from a state of dissatisfaction, pursuit or a sense of lack. For the past several years my son morphed, He explored arenas of the mind far from 3D and I witnessed and experienced with him, he was quite physically ill and unable to move the vast majority of the time. Traditional methods did not offer support and we explored all nontraditional aspects which we soon will share in our book “I am not Samm” . Our beloved garden went from lush and full of creatures and sprites that he and I would tend and love and play with when he was a child , to a forlorn, dry terrain that would not grow, much as my son could not move, despite all “traditional” methods of my tending, feeding, supplementing ,tilling, fertilizing, watering, composting etc..It was indeed a direct reflection of our experience. Throughout our journey we have continually been blessed with winks from the Universe about the gift of the chaos, yes the “gift of chaos”, and this early summer our garden returned to us. These last nine months, since the shifts and storms of October 2012, have been truly gestational. Each month bringing the next level of gentle growth and development for my son.There have been years of unlearning and discovery and he has moved far beyond his original diagnosis of PANDAS, all of the “stuff” in between and the incredibly limiting comment from “authorities” at age six that he would be “non-functional” to his new state of BE’ing now at almost 18 years of age. He is clear and large in energy and unique in his brilliant and sharp awarenesses and most of all he is mobile and smiling again. Truly from my heart, I share this with you. With consistent, cohesive clarity and intention we are All able to align to WELL BEING. It is a process of self awareness, an unwinding of what we are not, an unlearning if you will, and entirely possible. As I tended the garden this spring and gathered up remnants of what was cast about the garden during the storms, and the winter I decided to recycle and show the beauty of what was tumbled and altered by the chaos. I painted, rearranged, weeded, replanted and spoke with my garden knowing the darkest energies were behind us and that the time was here for all to show itself as it is in its perfect imperfection. I sang and prayed and played and my son came to watch and joined in for the first time in years. Today he shared the most profound statement with me as I invited him out to view how quickly everything was growing and how lush it all feels. As I joyously pointed out the mulberry tree’s comeback from almost dead, the heavily weighted raspberry bush branches and the chili peppers already dripping from the stems. He smiled and said, “Well of course Mom, the garden, our home, our space is an extension of me, of us. I almost died, I was actually really gone and my life force was playing outside of my body. You did your best to sustain me. His words brought tears, happy, happy tears in the knowing that what he noticed so clearly was true and right. The butterflies and dragonflies in greater abundance than ever before and the hummingbirds and cardinals are back after almost two years of hiding. Every morning several bunnies bop about and a fox smiles quietly at me from the low-lying back right corner tree umbrella cover. A vulture who actually never left us is here with a few friends and he smiles as he preens in the sun sharing his gift of cleaning up what is old and decaying and leaving what is still here clean and bright. We are indeed blessed to share our joy with you. The garden is in it’s newest state, we continue to plant, clear, create space for our faeries, gnomes, angels and critters. We have enlisted our dear friend Jean’s assistance in cultivating, clearing and arranging as she completes her studies with me in the art of Intuitive Feng Shui for the garden. Her loving heart and astute awareness are bringing the energies online more each day. We’ll be posting pictures and more garden tales here over the next months and I will be offering garden sessions for children and grownups over the weeks to come. Enjoy Jean’s site: jeansenchantedgarden.wordpress.com and explore the gift of her support in creating an enchanted garden with you and for you. She graduates in a month. Stay tuned for her great ceremony. The year of the Black Snake is commencing today, February 10, 2013 . This year of Snake supports steady progress. Notice what you notice. Pay attention . Stay focused on the NOW with “I do not know mind” & with clarity. Disciplined choice is required for you to achieve what choose to create. Snakes evoke silence , stillness, peaceful solitude and transformation, a shedding of old ways, old skins. We are cosmically being reorganized, on a subatomic level. There is an increase in light. This light will support shifts in the endocrine system. Our endocrine system helps regulate and maintain various body functions by synthesizing (making) and releasing hormones, chemical messengers. The major areas of control and integration include responses to stress and injury, growth and development, absorption of nutrients, energy metabolism, water and electrolyte balance, reproduction, birth, and lactation. The endocrine system is composed of glands that release their hormones directly into the bloodstream for chemical signaling of target cells. These glands include the pituitary gland, the pineal gland, the hypothalamus, the thyroid gland, the parathyroid glands, the thymus, the adrenal glands, the ovaries (in females) or testes (in males), and the pancreas. Synchronistically the endocrine system is moving thru this massive evolution while we enter the cycle of the Black Snake. Black mamba snakes are among the deadliest serpents on Earth, but their venom contains compounds that appear to help people overcome pain. As our endocrine system ramps up with the energy of the Black Snake, metaphorically we are being drawn into the potential, possibility and probability of letting go of our pains, our fears and falling into unconditional love and a reorganization of the genetic structures of who we are. Allow the black snake energy into eliminating the fear and pain and focus on the best you can be in the knowing that YOU will affect so many people’s transmutation and probabilities around you as you allow the black snake energies to allow rejuvenation. Your thymus is being re informed of its own vitality, your upper glands the pituitary and pineal are being re informed by the cosmic shifts, in this cycle of the black snake easing pain without tucking it away. Notice your beliefs about yourself. Allow this light ,this process of black snake to infuse new visions of possibilities of joy, peace, freedom and ease that You will recognize from the inside. A knowing in your heart. Your hypothalamus regulates your body temperature and the water in your body. YOU are WATER. Ocean Water & its elements actually match the blood of your human body. Humans are made of the Ocean. We are electrified water! Your hypothalamus is your “gatekeeper’ of your physicality and your outer energy centers. It is not yet fully developed. This year of the Black Snake, the Water Snake, pay attention to hydration and the balance of salts and minerals in your physical body more diligently than ever. 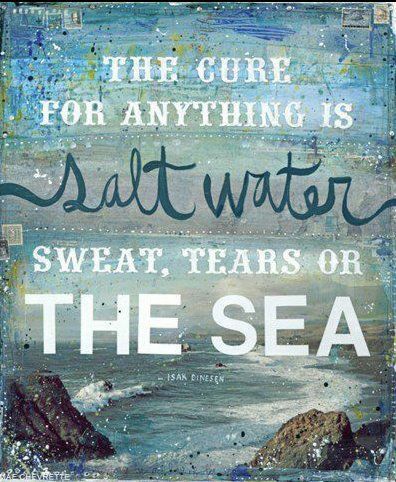 Play in the ocean, any body of water, calm the nervous system with magnesium sulfate, Epsom salts, sea salts. The rhythm and flow of water, stillness, the balance of salts & minerals in the blood and body will support your evolution and movement to new shorelines of Be’ing. Your endocrine system, your hypothalamus, is your pharmacopoeia, your innate apothecary. They induce chemicals in the body without ingesting anything. As this year of the Black Snake, the Water Snake and it’s synthesis takes you into new views, pain free views of how you interpret your realities. Be diligent in choosing your New reality . You are the source of LOVE. Choose to maintain a consistent rhythm of choosing joy & love. This will prepare you to truly experience the subtle and amazing awakening of the endocrine system available in this Year of the Black Snake, the Water Snake. Know that deep transformation & transmutation are often represented by the Snake. You will notice thru you new lens and slowly come to understand the root cause of “dis” ease and step into being a “well Be’ing” . Just as the snake, slowly shed the skin and “real eyes” that you have a remarkable endocrine system of self created psychedelics that will support the movement into grace and ease and out of “dis” ease. Acknowledge what was and shed that skin. Allow this transmutation of old blocks this 2013 year and notice that significant quiet progress will be made in this 2013 year of the Black Snake as the Cosmos align. With that I share with you this guided meditation and vibrational alignment. Sound scaped by my partner Michael Flynn of Dragon Crest XE. Enjoy the stillness of this winter flow from our Heart to your Heart. Jeanette signing off for now, this wonderful wintry day of the Lunar New Year……….Curling up in my warm spot….allowing myself stillness ….ahhhh. The vast majority of Ancient cultures believed that human beings should live in harmony with the natural cycles of their environment. The cold and darkness of winter urges us to slow down. This is the time of year to reflect on our health, replenish our energy and conserve our strength. Winter is the season associated the water element in Traditional Chinese Medicine. Having just experienced a powerful winter solstice, we are just stepping out of the darkness of the womb of the earth and require stillness, compassion for self, gentleness with what is, & grounding nourishment to burst though in the spring with fresh energies. The quiet stillness and precipitation of the winter nourishes the seeds of the life that will bloom again in spring. Hence, the water element provides the deep nourishment for all activities of life, birth, and growth. In the darkest period of the year, the fire that blazes in the summer is born. In the stillness of the Water element, we build the reserves needed to fulfill our function and destiny. Without the water element’s nourishment, we often burn out and lose touch with our original purpose. Water contains the seeds of our “curriculum” in this lifetime. Water holds the blueprint of our souls’ life purpose. Often, particularly in climates that are cold, we do not pay attention to staying hydrated during the winter months. Ideally, drink more water! It is easy to drink water in warm weather when you get hot or dehydrated, but in winter you do not realize that you are dehydrated to say nothing of all the unbuttoning and zipping required by frequent trips to the bathroom. More layers of clothing make it a longer process. But the brain is the single organ that requires the most pure water! Why? Because is it electrical in nature and function and requires water to keep it from overheating! Also, all of the functions performed by the brain leave behind toxic by products and residue that needs to be flushed away frequently so that you do not suffer from toxic thoughts… depression. If pure H2O is not appealing, prepare nourishing broth using kales, squashes, all root vegetables, adding bones for boosting immune system and fortifying the body. Drink Hydrangea tea to eliminate acids created by the skin being covered more and too many sweets consumed in Holiday celebrations. It will strengthen and support your kidneys. The organs governed by this season are the urinary bladder and the kidney. The urinary bladder stores our body’s fluids and maintains our energy reserves. The kidneys balance and distribute fluids in our bodies. The kidney contains the well of vital life essence that we are born with called “Jing” in Traditional Chinese Medicine. When the water element is depleted we may experience exhaustion and total depletion. Chronic fatigue syndrome and fibromyalgia are often manifestations of a water element imbalance. For men, impotence and a loss of libido may indicate a water imbalance. For women, infertility is one sign that the water element is disturbed. The water element nourishes and lubricates every joint in our body. The water element provides the flexibility and fluidity for movement. Stiffness, tightness, and joint pains are often a manifestation of an imbalance in the water element. Degenerative arthritis, low back pain, knee problems, and various joint pains reflect disruptions in the water element. Add Omega oils & flax seed oil to lubricate those joints and connective tissue. They will add more fuel to your body’s heater so your joints won’t hurt as much and your teeth will chatter less.. The emotion associated with the water element is fear. When the water element is out of balance we may experience fear that shows up in every aspect of our lives: relationships, career, finances, and personal growth. An imbalanced water element habitually reacts to fear instead of responding with wisdom and equanimity. Often, the reserves of Jing are continually used up in a desperate attempt to control, manage or run away from fear. The spirit associated with the water element is willpower that guides us to take steps in life that are congruent with our soul’s purpose. It is the commitment to live the highest virtues in life even when we are faced with fear and extraordinary difficulties. Ironically, when we overuse this will through habitually reacting to fear, we end up exhausted and depleted. In order to find balance with fear, we must cultivate wisdom & the ability to move into witness vs, reactivity. Balance comes to us when we respond to life and utilize our resources appropriately. Cultivate your ability to live in witness through deep breathing, pranayama, spinal twists are wonderful for awakening organs and energizing the back of the body, massaging the kidneys and assuaging fear.. Forward bends help counter negative emotions and raise energy…breathe, twist, open your hips. Observe “ahimsa” = do no harm. Move deliberately and with compassion for self and others. Eat when you are hungry, not just because it is time to eat. . Eating warm hearty soups, whole grains, and roasted nuts help to warm the body’s core and to keep us nourished. Synchronize with the season…notice your pets and children..They choose to sit in the sun and absorb the warmth and vitamins ( A & D).Pets curl up in the early darkness, children will too, if you shut off more electricity in your homes and notice nature. Light a candle, notice each other! Technology has wired us to be awake 24/7…daylight is reduced from 15 hours at Summer solstice to 9hours at Winter Solstice..go out, hug a tree at noon, feel the warmth of the sun, take care of what you must, then go home to those you love & nurture your body, nurture you heart, nurture your soul with permission to rest and rejuvenate until spring! Dr. Jeanette Wolfe is a Naturopathic Doctor, Intuitive Counsel and 6th generation Shaman. She currently works with medical institutions, schools, corporations & individuals to empower all who seek her out to heal emotionally, physically & spiritually. Respiratory health is a year round concern. More people lose time from their job due to sinus problems than any other single illness. When your sinuses are blocked, you can’t even think so it’s probably a good thing that they stay at home! Spring and Summer are considered allergy season but we are more aware of the fact that Fall and Winter pose respiratory challenges as well. In the warmer months, airborne pollens trigger lung and sinus reactions when we’re outdoors, or if we let the outdoors in. The cooler months cause us to seal in the dust, dander, sprays and pollutants we’ve brought inside and use daily. Heating systems then blow them around, circulating them all through the house. We can only imagine what is being blown around in some working environments! Thankfully there are lots of herbs that work well to clear the airways. The combination, ALJ® helps the entire respiratory tract to gently cleanse itself and promotes healthy respiratory tissue. It contains: boneset herb, horseradish root, mullein leaves, fennel seeds, fenugreek seeds. It comes in capsules and a great tasting liquid so it can be used for all ages. Colds, allergies, sinusitis, it doesn’t matter what the challenge is; this is super food just for your respiratory system. You should feed your respiratory system every day, unless you don’t plan on doing much breathing! Hista Block™ helps the body adjust to challenges brought on by airborne particles, environmental conditions, etc. It is a combination of stinging nettle, quercetin, bromelain and immature orange peel. Keep this on hand for direct aid when seasonal triggers are causing discomfort or distress. Don’t you just love a product that does exactly what is says? A Chinese formula that we’ve had personal experience with is Chinese Lung Support, a combination of 16 herbs specially formulated to supplement the needs of a weakened respiratory system. Its primary herbs—anemarrhena, aster, bupleurum and astragalus—work to boost the immune system, promote moisturizing, build energy and soothe inflamed tissue. Studies on bupleurum have shown it to be as effective as cortisone as an anti-inflammatory without the damage to bones and connective tissue associated with long term steroid treatment. In appreciation & honor of the teachings of Ralph & Lahni DeAmicis. Call now for your winter tune-up. With deep joy & appreciation for all of you & this great planet! Fire evaporates water, and water puts out fire. Change can cause conflict; conflict brings about change. This is a time in the relationship cycle when things actually need stirring up, & when the hint of dramatic change is in the air. In order to succeed, revolutionary change must be in alignment with certain immutable laws. The process must begin at the right moment, gather support like minded beings , be guided by sincere & capable leadership & — most important of all — the process must address a real need. The strength of the forces of change will always be in proportion to the urgency of the need being championed. This is true in social movements; it also applies to personal relationships. Revolutionary change happens when chaos arises from order. It is important to realize that not all order is good, not all chaos bad. Chaos, in fact, is an integral part of the way of things — as any parent (and modern science) will confirm. Today, as U move forward into 2013, have the courage to radically change & renew the way you present yourself. In this way, you can summon chaos to your cause, and you will unleash a new power on your behalf. If engaging in a negotiation, change the rules; if courting a lover, dare to be unconventional. In periods of drought, even wild storms are preferable to yet another sunny day. Wishing U a Sacred, Joyous Passage throughout 2013. Open ur sails & open ur hearts to new horizons of peace, joy, ease & LOVE. ….from my heart to ur Heart. Happy New Year! I think this is a powerfull weblog with much interesting articles about this stuff. And i just wanna thank you for this. I’ll follow your website to see if you post more stuff like these! It’s an awesome piece of writing for all the internet visitors; they will take benefit from it I am sure. write a litte more on this subject? I’d be very grateful if you could elaborate a little bit further. Appreciate it!